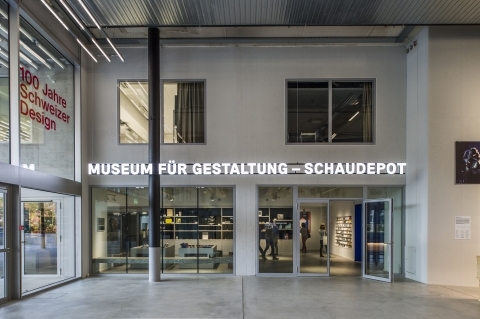 The Museum für Gestaltung Zürich is the leading Swiss museum for design and visual communication. Since its foundation in 1875, the museum has included what has taken effect as design. Its internationally acclaimed collection comprises over half a million objects from the history of design. 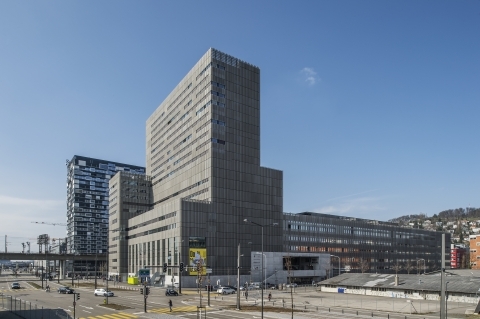 The museum reaches a broad national and international audience, at its two sites in Zurich and through its touring exhibitions. As part of Zurich University of the Arts (ZHdK), the Museum für Gestaltung Zürich is actively involved in research and teaching and produces its own publications on a regular basis. How do designers go about the design process? And how do products come into existence — now and in the future? The Design Studio is the site of active engagement with current and historical design themes. 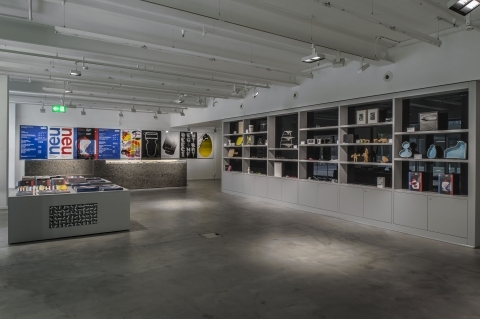 Focusing on design and production processes, the exhibition provides insights into the working process of renowned designers. Visitors can also become active themselves: the open workshop integrated into the exhibition invites visitors to design and experiment with ideas and materials. Whether on the first ascent of Mount Everest or on the streets of Paris and London, Bally, founded in Switzerland, achieved worldwide fame with top-class shoes. The company is considered to have pioneered combining craftsmanship, industrial innovation and fashion design. Since its beginnings almost 170 years ago, the company has successfully pursued a pronounced international strategy. By growing their ideas into finished concepts, MA Art Education students specializing in Curatorial Studies, i.e. prospective exhibition makers, developed their own exhibitions: “The Letten District Goes Swimming”, “Questioning the City: Strolling through Text and Image”, “The Narrative Chair”, “Unlabel: Fashion beyond Categories”, or “What Is Food Design?”. A jury selected the most exciting exhibition concept for implementation. Ceramics dripping from a 3D printer? Clothing that helps one get up? Bacteria instead of leather for a shoe? What sounds like science fiction is already within reach. Not only in the laboratory, but also in design, material issues are more relevant today than ever due to digitization and the quest for greater sustainability. To this end, designers are increasingly working in teams with scientists from the fields of biotechnology and materials technology. Never has so much information been exchanged as today. Whether for visualizing big data, publishing journalistic findings, spatial orientation, or as material promoting effective learning and teaching—information design explains the most diverse contents within the shortest time through combining much visual material with few words. For images have the power to simplify and illustrate complex facts. Light drawing, photograms, photomontages: the search for a contemporary visual idiom for the postwar period inspired artists and designers to experiment with photography. From 1950, William Klein created photograms, decisively influenced by the Bauhaus legacy and by contemporary gestural abstraction and kinetics. Gérard Ifert made his first movement studies, and Wojciech Zamecznik experimented with light painting shortly afterwards. Toni-Areal Public transport: Tram 4, "Toni-Areal" Private vehicles: Limited fee-based parking including spaces for persons with disabilities is available. Access to the multi-storey car park at the Toni-Areal is via Förrlibuckstrasse. Also located close-by is the multi-storey car park P-West. Bicycle parking is available around the building.